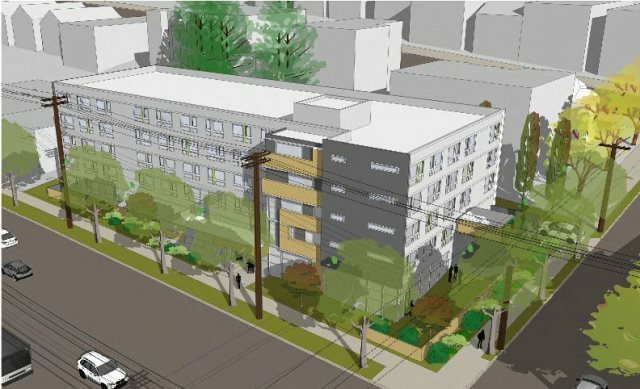 DESC Interbay – HV Engineering, Inc.
Seattle, WA – Five story, 97 unit apartment building for the Downtown Emergency Services Center (DESC). The building also includes lower level commons and office space. Building heating is provided by hydronic, radiant floor heating which is unique for multifamily residential buildings. Completion expected in the fall of 2015.